Injury Lawyer Ft. Lauderdale | Welcome to Adam Franzen. P.A. Injury attorney in Ft. Lauderdale can help you get compensated. There are accidents that can cause injuries that are not the fault of anyone but the injured party. However, there are many that are caused by wrongful action or neglect by other parties, which deserve compensation for medical and other expenses resulting from them. The first thing that you should always do after being injured in an accident is to look after your health. Get medical and/or emergency care and treatment. It’s important to note that if you do not seek medical treatment within fourteen (14) days of the accident, Personal Injury Protection (PIP) typically will not cover any of your medical bills. If you have suffered an “emergency medical condition or EMC,” PIP will generally pay 80% of your medical expenses and 60% of lost wages, subject to the limitations of the policy. If you have not suffered an emergency medical conditions are generally capped at $2,500. After you have received any necessary medical treatment, then there are a number of steps that you can take that will help preserve your right to file a claim for your personal injuries. These steps are valid in most situations and there is no “right” order to take. (Note: if you need to file a claim against the government or a government agency, there are other specific steps that should be taken). Collect evidence that can help prove who caused the accident, as well as the damage caused by the accident. Photographs are useful here. Report the incident to the proper authorities (for example, animal control for a dog bite or the local sheriff’s or police department for a boating accident). Keep a record of everything that has happened to you after the accident. This includes things like medical bills, hospital visits, any lost work or wages, etc. Keep receipts of any of these services you paid out of pocket. Be sure to get the names and contact information of any witnesses who may have observed the accident. Contact these people to confirm their contact information. If you speak to other people that were involved in the accident, be sure to take notes about your conversation, and their contact information. Tell anyone that you may file suit against that you are planning on filing a claim for your injuries and property damage. 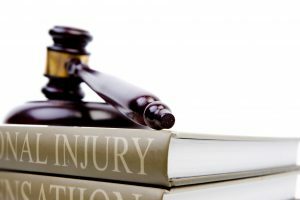 Injury attorney Adam Franzen knows the Florida laws on accidental injuries. The Franzen Firm will assist in filing your personal injury lawsuit against the at-fault driver. A lawsuit may give you the opportunity for compensation in addition to the benefits provided under your PIP policy; however, you must have suffered permanent injuries tin order to be eligible to file a claim. Don’t take the word of the insurance companies–they may attempt to classify your injuries as non-serious or purely temporary injuries. Our law firm can gather evidence to prove that your injuries are serious enough to qualify you for additional compensation through a lawsuit. Adam Franzen knows the Florida laws on accidental injuries and how to represent you if you are in an accident. Call Mr. Franzen at (954) 462-5790, or visit his website to learn more about how he can help you with your accidental injury cases. This entry was posted on Friday, July 8th, 2016 at 3:19 pm	and is filed under Blog. You can follow any responses to this entry through the RSS 2.0 feed. Both comments and pings are currently closed.